టయోటా ఇనోవా క్రైస్టా 6 వేర్వేరు రంగులలో అందుబాటులో ఉంది - Silver, Avant garde bronze, White Pearl Crystal Shine, Super white, Garnet Red, grey. 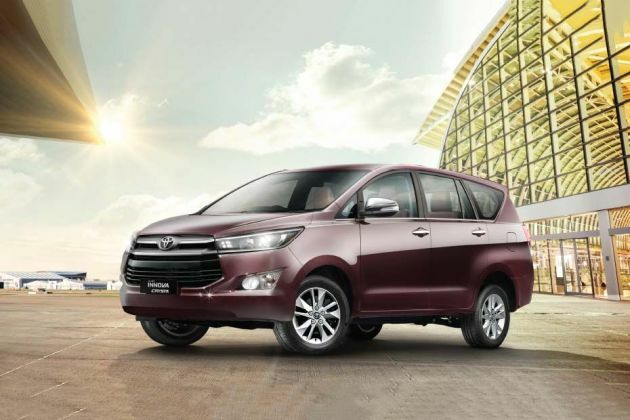 Toyota Innova Crysta is a very luxurious car as compared to its price. I like it. The car is Little expensive but maintenance is cheap. Best in the segment. Awesome to drive on a comfortable easy long drive. Mileage is good with awesome interiors, airbags and good tyres. Innova Crysta is a car with ample amount of space and it is a great car in terms of power too. according to my opinion, Innova Crysta is a great car to invest.